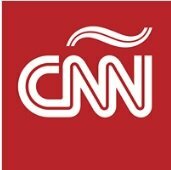 News TV Channel / CNN en Español is CNN's 24-hour Spanish language television and radio news channel which broadcasts to the United States of America and Latin America. It was launched on March 17, 1997. CNN en Español provides live coverage of some news events, and in 2016 carried the Spanish-language feed for Major League Baseball postseason games carried by sister network TBS. CNN en Español features newscasts throughout the day.